Marrickville Council will develop a “community passport” for refugees and asylum seekers following a successful motion by the Greens at the November Council meeting. Greens Councillors Melissa Brooks and Sylvie Ellsmore jointly moved the motion for a partnership project with the Asylum Seekers Centre based in Newtown, which was passed unanimously by Council. 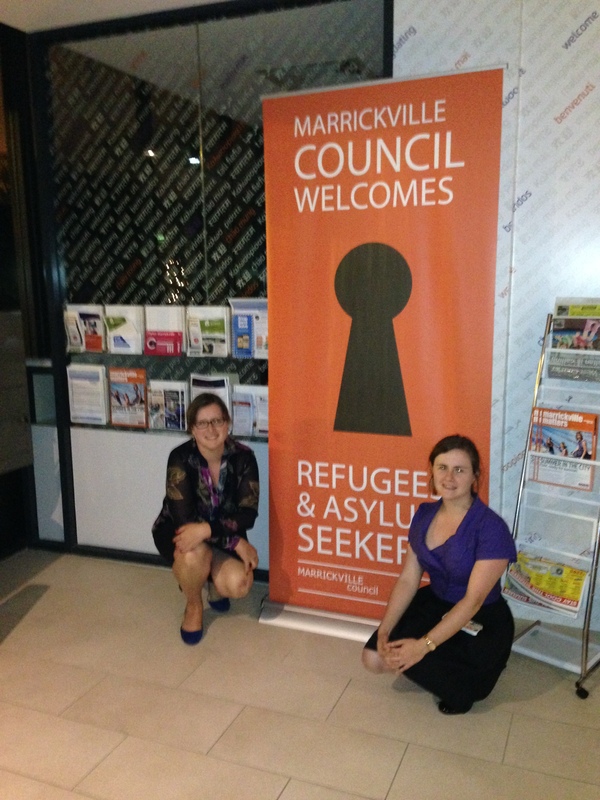 Greens Councillor Melissa Brooks said, “Marrickville Council has been a Refugee Welcome Zone since 2003. We proudly recognise the important contribution that people from refugee backgrounds make to our local culture, our economy and our society. “The community passport will not only welcome asylum seekers and refugees entering our community, but will also provide a directory to local churches, mosques and parks, and provide free access to a range of Council services such as our pools and community programs. In time we hope the program expands to facilitate discounts and donations from local businesses and residents,” Clr Brooks said. Councillor Ellsmore said, “By formalising Council’s support for refugees and asylum seekers in the form of a community guide or passport, Council will send a strong message to new arrivals to the community that they are welcome. “For asylum seekers – many of whom have little or no access to financial support from the government and rely on charitable giving – it will provide much needed support,” Clr Ellsmore said. Marrickville Council has an increasing number of refugees and asylum seekers living, working or visiting the LGA. A number of important community organisations who offer support to refugees and asylum seekers are located in or near the Marrickville LGA. In 2013 the Asylum Seekers Centre re-located to the Marrickville LGA. The Asylum Seekers Centre cares for approximately 1,500 asylum seeker clients per year, 70% of whom receive no government support whatsoever. For more information see the letter of support from the Asylum Seekers Centre. The idea of Refugee and Asylum Seekers passport is modelled on a successful pilot program by the Melbourne City of Darebin Council. Read a copy of the Greens Notice of Motion here: C1115 Item 24 – Notice of Motion Marrickville Community Passport for Refugees and Asylum Seekers.